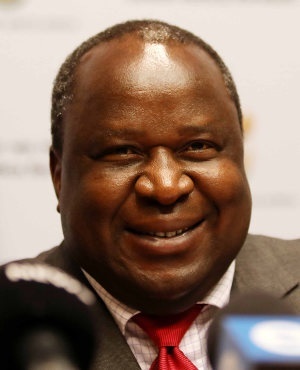 Cabinet welcomed Minister of Finance Tito Mboweni’s first medium-term budget policy statement and maintained that government remained committed to stabilising debt and bringing debt levels down. Mboweni tabled the medium-term budget policy statement on Wednesday afternoon in the National Assembly, less than two weeks after being appointed and sworn in as a minister. The speech received mixed reactions overall, with some in the business community disappointed in the lack of a concrete plan to reduce debt. According to the budget policy statement government's gross loan debt is expected to accelerate to 58.5% of gross domestic product in 2021/22. The increase from 55.8% an increase is mostly attributed to currency fluctuation. Cabinet said that government remains committed to fiscal sustainability, but there has been slippage since the tabling of the 2018 Budget in February this year. "Against the backdrop of a difficult economic and fiscal environment, the proposed division of revenue continues to prioritise large social spending programmes that support basic education, health, social welfare, water, sanitation and electricity services," said the Cabinet statement. * Visit Fin24's 2018 mini budget hub for all the news, views and analysis.